If you’re planning to go gorilla trekking in Africa, you’ll want to visit the continent’s main mountain gorilla territory in Uganda and Rwanda. Even before you’ve reached these critically endangered primates, you’ll be struck by the sheer beauty of the fertile land and forested mountains of these two East African countries. Encountering these powerful yet peaceful primates on an African safari is a breath-taking experience that is generally never forgotten by those that undertake it. Here is a brief guide on what to expect when going gorilla trekking in Uganda and Rwanda. 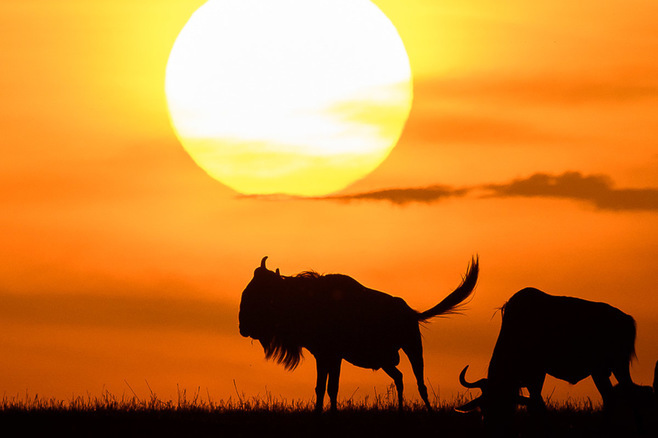 Sir Winston Churchill declared the Kingdom of Uganda a ‘fairy tale’ because of its abundant, colourful animal life and vast geographical scale. When trekking into the rainforest in search of the mountain gorilla, it becomes clear why Uganda remains today ‘The Pearl of Africa’. Lush forests carpet the country’s extensive misty mountains, which are populated by numerous family groups of mountain gorilla. Uganda offers primate enthusiasts exceptional opportunities to visit mountain gorillas as well as chimpanzees in their untouched habits. In the Bwindi Impenetrable Forest National Park, which is a UNESCO World Heritage Site found in south-western Uganda, gorilla trekking takes you into thick montane and lowland rainforest to witness the magnificence of the mountain gorilla. While it may be called a gorilla trekking safari, it is highly recommended that you include a hike to find the cheeky chimpanzee. 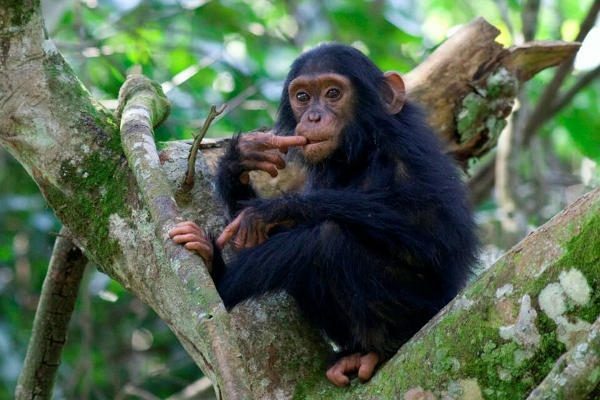 In Uganda, chimpanzees can be found in Queen Elizabeth National Park and in the nearby Rwenzori Mountains, Kyambura Gorge and Kibale Forest. We think encountering chimpanzees and mountain gorillas are equally memorable experiences. 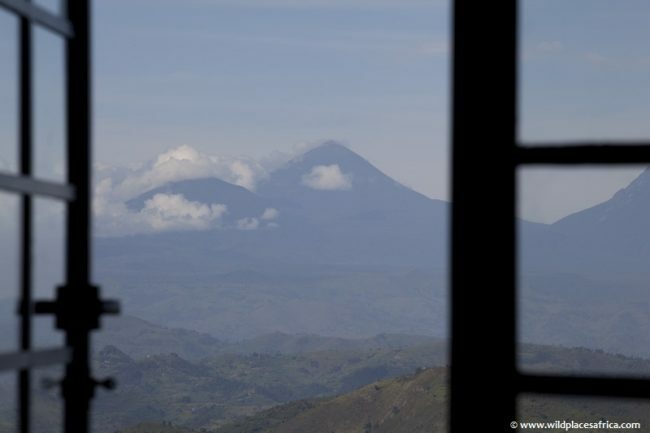 Straddling Uganda, Rwanda and the Democratic Republic of Congo are eight blue volcanoes and surrounding volcanic lakes that make up the larger Virunga Conservation Area, which includes Volcanoes National Park. During a combined mountain gorilla trekking to Volcanoes and the Nyungwe Forest, you’re likely to see families of mountain gorilla as well as numerous endemic birds, chimpanzees and forest elephants. 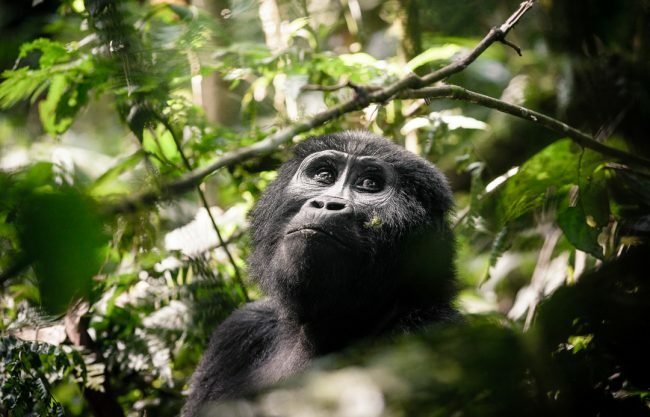 Like Uganda, the ‘Land of a Thousand Hills – as Rwanda is known – affords gorilla trekking groups extraordinary wildlife encounters of the mountain gorilla in its natural environment. Trekking permits in both Uganda and Rwanda are limited to ensure the safety of both the wildlife and their human visitors. This adds to the uniqueness of the entire experience. It was in Rwanda that the famous American primatologist Dian Fossey carried out almost two decades of research on groups of mountain gorilla, particularly in the Volcanoes National Park. Visitors can include a hike to her tomb to pay homage to this phenomenal conservationist. To get the most out of gorilla trekking in East Africa, we recommend a safari that includes a visit to both Uganda and Rwanda. 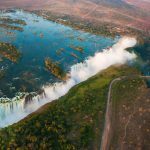 Contact us for more information on how you can tick this amazing wildlife adventure off your bucket list.